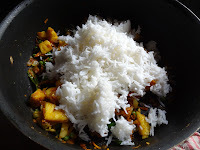 I love pineapple rice. Either this or olive rice is what I order when I visit Thai restaurants. But when you order and if you are vegetarian make sure they do the dishes without fish sauce. I normally ask them when I order. 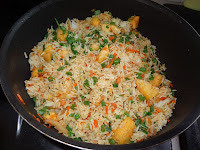 I tried this rice couple of time in the past. Last time when I did it was raining so couldn't take photo. It is so simple and flavourful rice. It is perfect for weekend lunch. 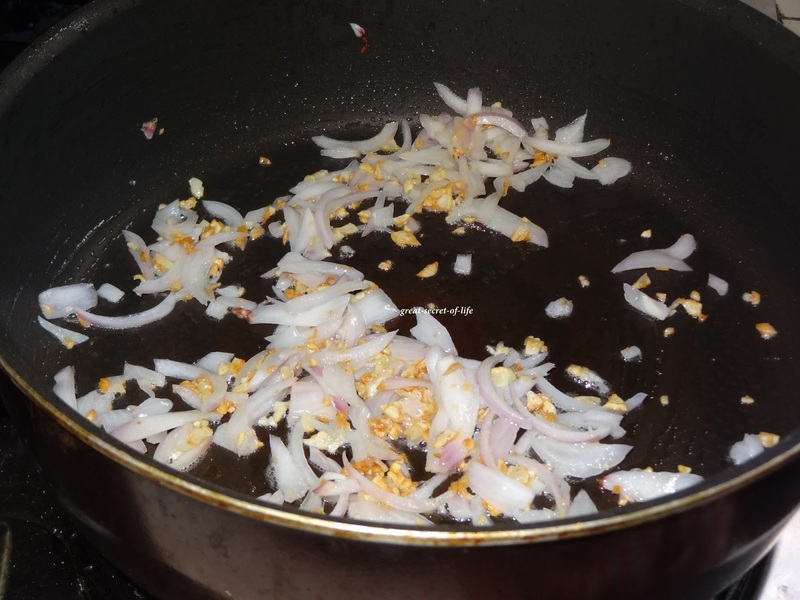 Heat the kada and add oil. 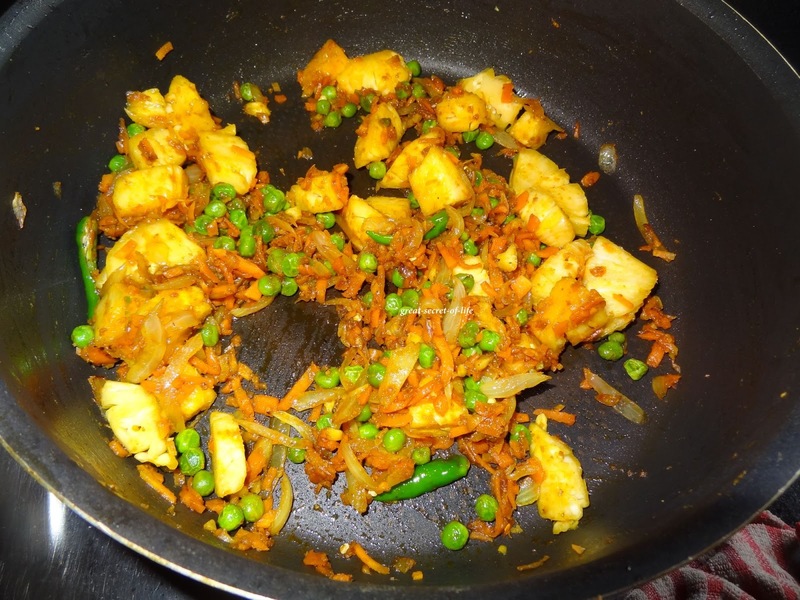 when it is hot add onion, garlic and green chilli. 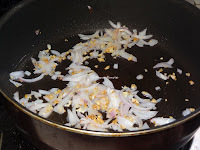 Fry till onion is cooked (no need cook till soggy). 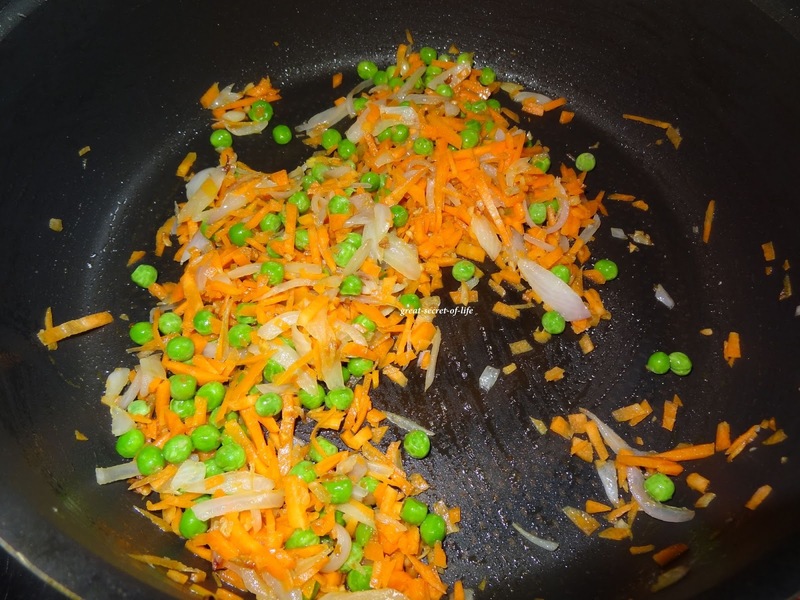 Add carrot and peas and cook the vegetables. 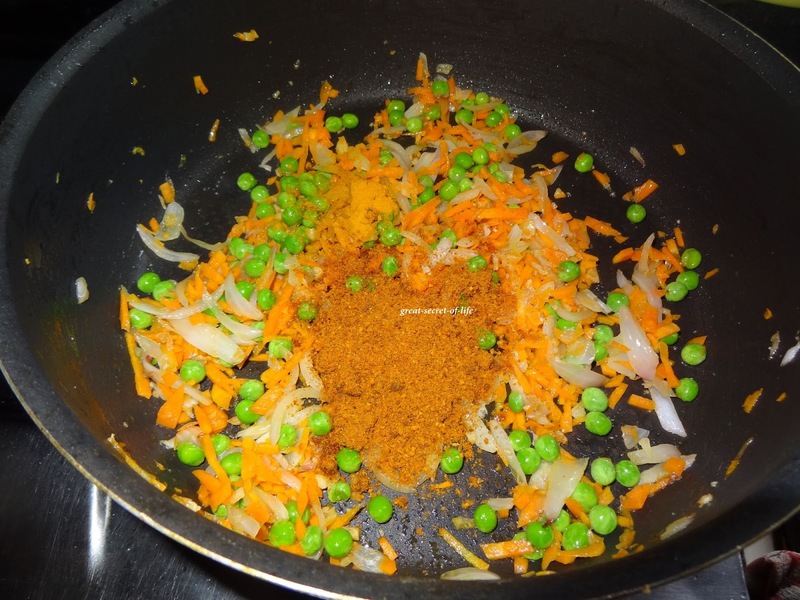 Add curry powder or sambar powder. 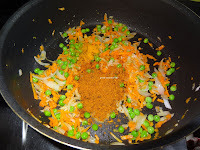 Add cashew nut, soya sauce and fry till nice aroma comes. 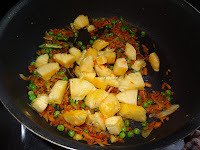 Add Pineapple Chunks. Add rice, salt. Turn the flame to medium or high. And mix well. Fry well for another 3 mins. 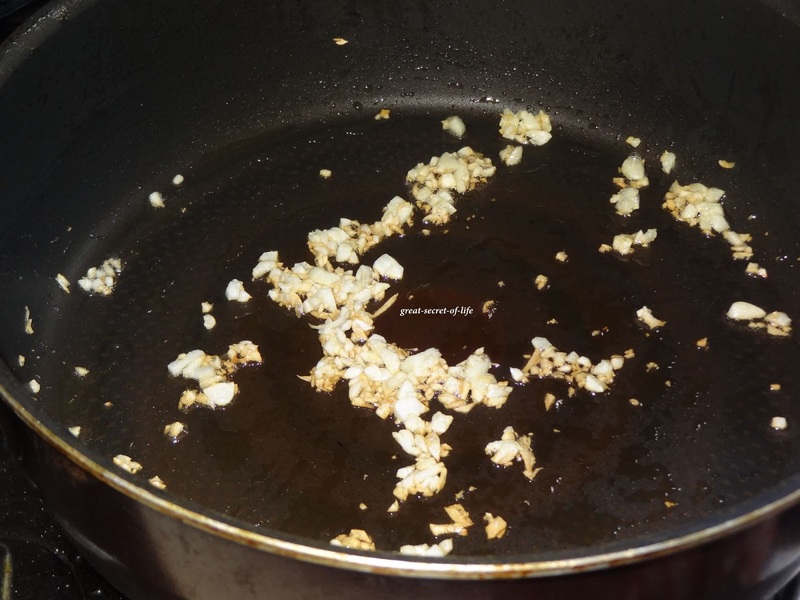 Add raisins if you are using and mix well. 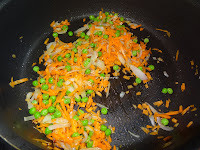 Colorful and delicious rice.. Looks interesting! 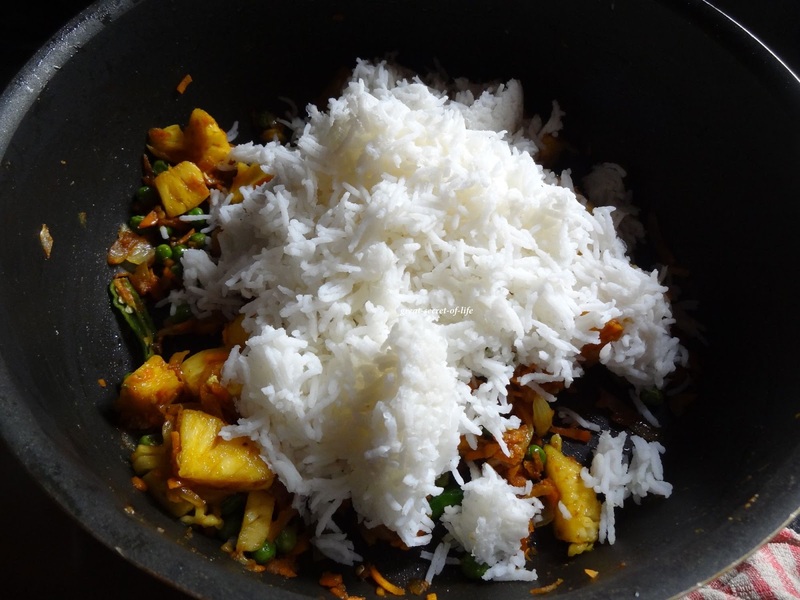 I too love pineapple rice! This looks very tasty. 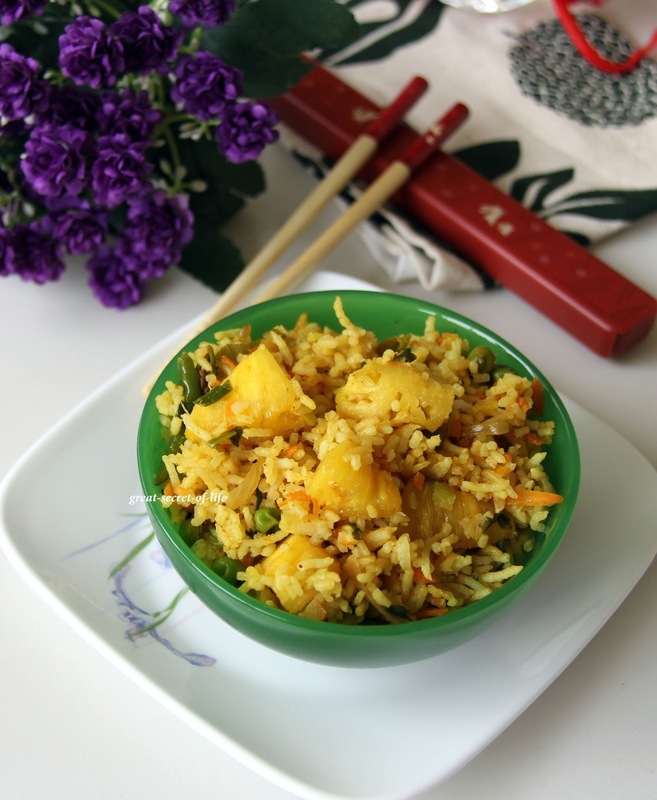 Apart from pineapple rasam, never tried rice with pineapples, delicious rice Veena.. 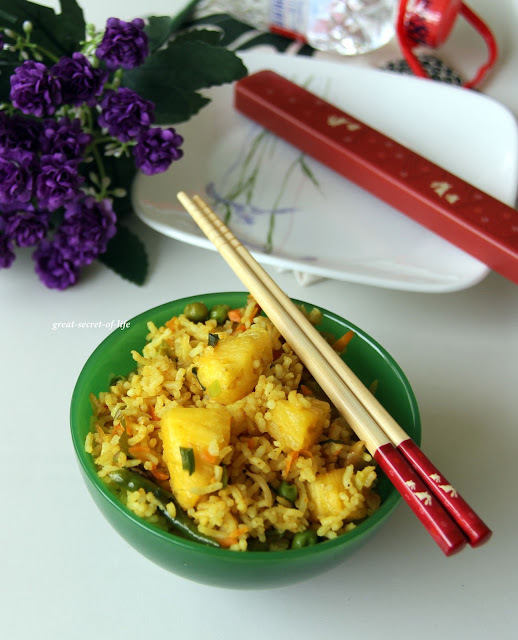 This new innovative pineapple rice looks delicious! 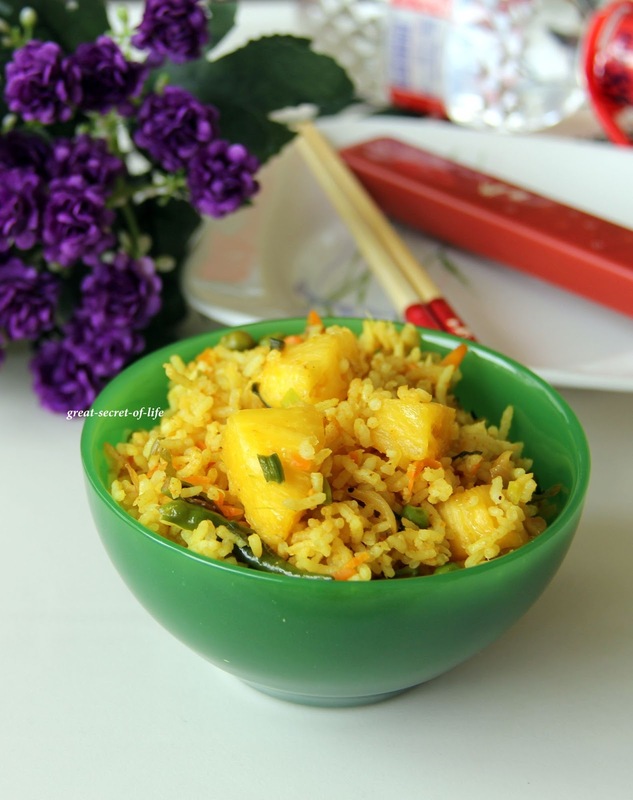 this is new to me.. very tempting..
Pineapple rice sounds very innovative. Nice clicks ! That should be a tangy rich one pot meal.. Yum is the word !